According to the Department of Public Health at Oxford University, out of the €196 billion, €106 billion is spent on healthcare, €44 billion (22%) on informal care, while €27 billion (14%) goes to early mortality and €19 billion is spent on absence from work or early retirement. 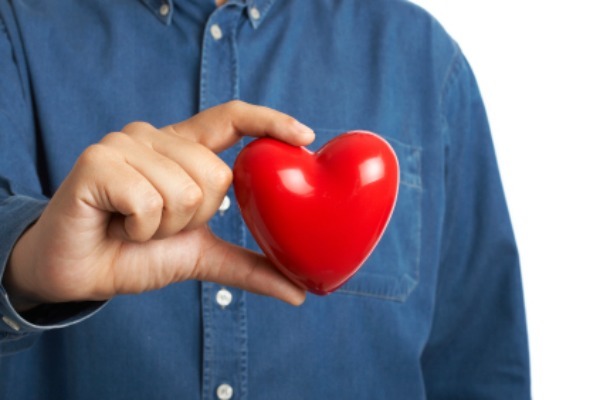 To reduce the number of deaths from heart diseases, EU countries agreed in November 2013 to tackle the underlying health determinants behind cardiovascular disease in the common health programme for 2014-2020 through “promoting health, preventing diseases and fostering supportive environments for healthy lifestyles”. The EU wants cost-effective promotion and prevention measures for addressing tobacco, alcohol, unhealthy dietary habits and physical activity. EU Health Commissioner Tonio Borg has also pledged to organise an EU summit on chronic diseases on 3-4 April 2014, while the commissioner for education, media, youth, multilinguism, culture and sport, Androulla Vassiliou, says the EU should promote physical activity and has called for a ‘European week of sport’ to raise awareness about combating obesity among the youth. According to the World Health Organization’s Global Health Observatory (GHO), cholesterol, fat produced by the liver which is carried in the blood by molecules, increases the risks of heart disease and stroke. The prevalence of elevated total cholesterol is highest in Europe (54% for both sexes), according to the WHO, followed by the Americas (48% for both sexes), while the Africa and South East Asia have the lowest percentages (22.6% and 29.0%, respectively). According to a 2011 report by the Cardiovascular Resource Group, 133.3 million people in the five biggest EU countries (Germany, France, Italy, Spain and the UK) suffer from too much bad cholesterol, comparable to the overall number in the United States (135.1 million people). Statistics in the report show that the numbers have grown steadily. At the same time, it is estimated that 25 million people in the United States are unaware that their level of bad cholesterol is too high, according to the report. The EU says that six of the seven biggest risk factors for premature death – blood pressure, cholesterol, Body Mass Index, inadequate fruit and vegetable intake, physical inactivity and alcohol abuse – relate to how we eat, drink and move. The EU published in response in 2007 a strategy on nutrition, overweight and obesity-related health issues. However, the strategy does not mention bad cholesterol specifically and few initiatives to combat it have been taken since. The pharmaceutical companies Regeneron and Sanofi said in a statement that poorly-controlled bad cholesterol is a major contributor to cardiovascular disease as evidenced by numerous large, randomised clinical studies. With the current treatment, still many patients worldwide cannot achieve their choleserol goal. In 2010, the EU funded a programme, 'Two apples a day keep the doctor away', aimed at lowering cholesterol levels by 10%, with €13.8 million. In December 2006, the Council and Parliament also adopted a regulation on nutrition and food labelling to harmonise the rules for health claims, such as “reducing blood cholesterol”, “low fat” and “high fibre”. The aim was to ensure that the health claims on food were “clear, accurate and evidence-based”, eliminating misleading products from the EU’s single market. In 2008, the European Food Safety Authority (EFSA) furthermore concluded in an opinion that plant stanol esters can lower/reduce blood cholesterol and reduce the risk of coronary heart disease. Another major cause for cardiovascular disease is obesity, a medical condition in which excess body fat has accumulated to the extent that it may have an adverse effect on health, leading to reduced life expectancy and/or increased health problems. People are considered obese when their body mass index (BMI), a measurement obtained by dividing a person's weight in kilograms by the square of the person's height in metres, exceeds 30 kg/m2. Obesity increases the likelihood of various diseases, particularly heart disease, type 2 diabetes and certain types of cancer. Obesity is most commonly caused by a combination of excessive food energy intake, lack of physical activity, and genetic susceptibility, although a few cases are caused primarily by genes, endocrine disorders, medications and psychiatric illness. The numbers of overweight and obese people has grown globally since the 1980s. In Europe, it is estimated that 50% of all men and women were overweight in 2008, and on average around 23% of all women and 20% of men were obese, according to the WHO. In the spring and summer of 2013, the European Centre for International Political Economy (ECIPE), a think tank, addressed the issue with a series of panel discussions on the impact of obesity on EU economies. At one press conference, ECIPE director Fredrik Erixon said obesity was now just “as certain as death and taxes”. “We can use this expression about obesity,” Erixon told the conference. “When you look at type 2 diabetes in Europe, it's the principle cause of roughly 80% of type 2 diabetes and diabetes is related to premature death," he said. The ECIPE director added that growing levels of obesity led to higher taxes and higher expenditures in the healthcare systems. “So far we haven't seen the big pushes in healthcare costs from obesity, but they are very likely to come in the future. Part of this because we see a growth in obesity, but also because people tend to live longer and when they live longer, the demand for healthcare related to unhealthy lifestyles gets much higher,” Erixon stated. "Left unchecked, we are going to see a very profound effect on healthcare expenditures in the next couple of decades coming from growing levels of obesity," he added. Gema Frühbeck, president of the European Association for the study of Obesity, backed Erixon's views by saying that it's not enough to tell people they have to change their diets and be more physically active. "This message is not that powerful and has not translated into decreasing rates of the epidemic. We really need to look into why this isn't working, how we can get the message across, especially to vulnerable, disadvantaged groups," Frühbeck said. The EU has reconised that obesity is rising dramatically among children in Europe, and that it disproportionately affects those in low socio-economic groups. "We need a combined approach not only from the biomedical area, but also with the social sciences and humanities. We need to develop a new paradigm, seeing obesity as a complex system." At an obesity conference in Brussels in September 2013, Commissioner Vassiliou said that the EU should take a ‘bottom-up approach’ to obesity. “I believe in order to change people’s lifestyles… You can’t impose it from the top. You have to really create the right environment for people to see that it’s worth adopting these changes in their lifestyles,” she added. "If everyone is motivated to organise sports and physical activities; schools, employers, enterprises, local communities … I believe that if everyone is involved I think the public will start learning that this is something which is good for them," the commissioner for sport insisted. Gediminas ?erniauskas, the Lithuanian vice-minister for health, said that all EU member states had experience with obesity, and called for a public discussion on healthy lifestyles. If European public-awareness projects could increase the level of physical activities among the citizens by one minute per day, ?erniauskas said, these small steps could yield big results. “We are lacking actions on different levels even in the EU where we have three Commissioners involved with health, so it’s complicated,” the vice-minister for health said. Are taxes the right way to change diets? Food and drinks taxes still have not been proved to be an effective way of combating obesity in Europe. However, the taxes, introduced by many European governments, could be a way forward but they have to be part of a holistic approach, according to experts. While taxes on alcohol and cigarettes have been commonplace for many years, taxes on specific unhealthy foods and drinks aimed at combating obesity have only recently been introduced by some governments. One example is the Danish levy on saturated fat, which the government abolished one year after its adoption due to an increase in cross-border trade and loss of jobs. Another example comes from Finland where extra taxes on candies, chocolate, cocoa-based products, ice cream and ice lollies have been in place since 2011. A separate tax on soft drinks was increased and widened to also include other categories of beverages. In September 2011, Hungary raised a tax on a series of unhealthy products such as certain soft drinks, energy drinks, pre-packed sweetened products, salty snacks and condiments. At the same time, the health minister of Ireland, James Reilly, announced that he was considering introducing a tax on sugar-sweetened drinks. In France, a tax on all beverages with added sugar or with artificial sweeteners was introduced in 2012. At a panel debate in Brussels in June 2013, organised by the European Policy Centre, a think-tank, participants disagreed as to how effective food and drinks taxes are. Roberto Bertollini, chief scientist and WHO representative to the EU, said that when speaking about taxes, the discussion in Brussels typically ends up at an abstract level instead of focusing on what they mean to the individual, the society and families. "The cost for the society due to the obesity epidemics is a burden for all of us and this has to be taking into account when talking about taxation and changing behaviour," Bertollini said. "I think we need to address aggressively three components in food; trans-fat in food, sugar and salt in a way that promotes, not impose, change in nutrition habits," the WHO representative added. Mella Frewen, director-general of FoodDrinkEurope, a trade association, said that the food industry had already done what could be expected of them in terms of promoting healthier lifestyles. "We are doing more and we can always do more, but we are absolutely convinced that taxes are not the right tool. In today's economic times, discriminating taxes really is not the right way to address this," Frewen said. FoodDrinkEurope's director-general said food and drinks taxes destroy the function of the EU's internal market. She added that the complexity of food taxes and the resulting challenges for businesses, operators and the authorities, for example in Denmark, led to the government withdrawing the tax because it was too burdensome. "So we see a lot of problems and complexities in all of this and we think that taxes are simply the wrong tool at the wrong time. We need better diets, we don't need taxes. We need better, healthier lifestyles, we don't need taxes. We don't need to scapegoat the industry. We need a comprehensive approach in changing behaviours," Frewen said. To promote healthier lifestyles and combat obesity among school children, the European Commission proposed in January 2014 to bring two separate EU schemes on milk and fruit together under a joint framework. The aim is to address poor nutrition more effectively, to reinforce the educational elements of the programmes and to contribute to the fight against obesity, as the consumption of these products has been declining among young people. In 2010, the WHO estimated that around one in three children aged between six and nine in the EU were overweight or obese. The estimate in 2008 was one in four. The new EU scheme will have a budget of €230 million per school year - €150 million for fruit and vegetables and €80 million for milk. In September 2013, Vassiliou launched an initiative to encourage young people to "get out of their chairs". "This initiative is an important milestone in the Commission's efforts to promote health-enhancing physical activity in the EU. We propose to member states to take measures across all those policy sectors that can enable citizens' to be or to become physically active," she said. A key aim of the proposal is to help member states to trace developments and identify trends regarding their national efforts to promote sport and physical activity. "By acting together with the member states we will reduce the significant costs arising from the lack of physical activity in Europe," Vassiliou added. In November 2013, Commissioner for Health, Tonio Borg, spoke on the issue of cardiovascular disease in an interview with EURACTIV: "There are too many divergences, too many inequalities in the statistics, in the percentages and in the prevention as well. On average, EU member states only spend 3% on prevention. We have to improve that figure. This remains the responsibility of the member states, but the Commission has a role to play in encouraging member states to use more money on prevention and also in coordinating the strategies of the different member states on the question of cardiovascular disease. Why? Because cardiovascular diseases are preventable so we can reduce the numbers." At a cardiovascular event at the European parliament in the same month, Michael Hübel, who heads the health and diseases programme at the Commission's Health and Consumers department (DG Sanco) said that cross-policy was an important aspect of coming up with the right response. "A lot of the unevenness of the cardiovascular diseases across Europe is due to a certain amount of unevenness in terms of the risk factors being people smoking, people being overweight, people not undertaking physical activity and consumption of alcohol to a lesser extent. So the first element to an EU response challenge is to help address these risk factors at EU level," Hübel said. At a conference on obesity in Brussels in September 2013 organised by the International Chair on Cardiometabolic Risk (ICCR), Androulla Vassiliou, commissioner for education, culture and sport, called for a 'European Week of Sport'. She said that participation in sports and physical activities was one of the most effective ways of staying physically and mentally fit, and referred to the ancient Greek saying ‘A healthy mind in a healthy body’. "Unfortunately, we also know that more than half of Europeans do not meet the physical activity levels set by the WHO. This leads to significant economic and social costs for the member states," Vassiliou stressed. ICCR's scientific director, Jean-Pierre Després, gave his support for the commissioner's initiatives. "We are convinced that indeed the population will abide to this initiative bottom-up. Physical activity is fun and this should be emphasised. It’s clearly a very important component of a plan to reduce the burden of a chronic disease. The economic consequences of this societal disease are tremendous for all nations’ economies and even companies have to deal with the financial impact of the fairly large proportions of the employees being obese in terms of healthcare costs and healthcare instruments." In June 2013, Roberto Bertollini, chief scientist and World Health Organization (WHO) representative to the EU, said food taxes could help in the fight against rising obesity levels as part of a holistic approach. "The cost for the society due to the obesity epidemics is a burden for all of us and this has to be taking into account when talking about taxation and changing behaviour. I think we need to address aggressively three components in food; trans-fat in food, sugar and salt in a way that promotes, not impose, change in nutrition habit." However, Mella Frewen, director-general of FoodDrinkEurope, a trade association, said that the industry has shown for many years its commitment to promote healthier lifestyles to combat obesity, citing health campaigns and food labelling and by refraining from advertising of unhealthy food to children. "We are doing our part as the food industry. We are doing more and we can always do more, but we are absolutely convinced that taxes are not the right tool. In today's economic times, discriminating taxes really is not the right way to address this." In an interview with EURACTIV in the same month, American obesity expert professor James O. Hill stressed that cutting public health budgets is the wrong way forward. "I think it’s just the wrong way to go about it. You see that in the US we waited until people started experiencing all these consequences of obesity and then we paid for their healthcare when in fact if we had invested money in keeping them healthy, they wouldn’t get these conditions and it would save us a lot of money. The most important thing you can learn from us [Americans] is what not to do. First of all, food restriction does not work. We have been promoting food restrictions for decades. It does not work. People will skip their food intake, they get hungry and begin eating again. So food restriction is not a long-term solution."